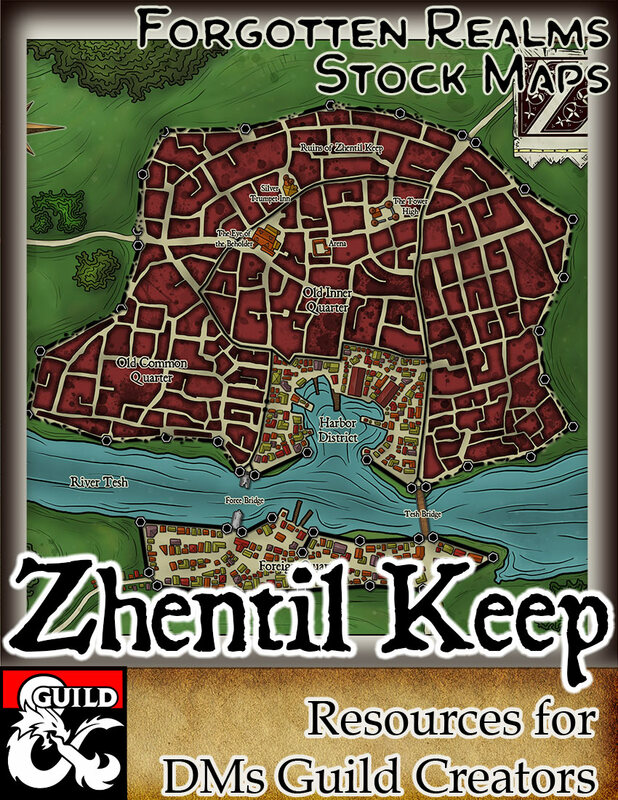 This is a digitally hand-drawn map of Zhentil Keep, post-destruction. In this version of Zhentil Keep, Tesh Bridge was rebuilt and the harbor district was reclaimed. Still, the majority of the northern part of the city remains in ruins. 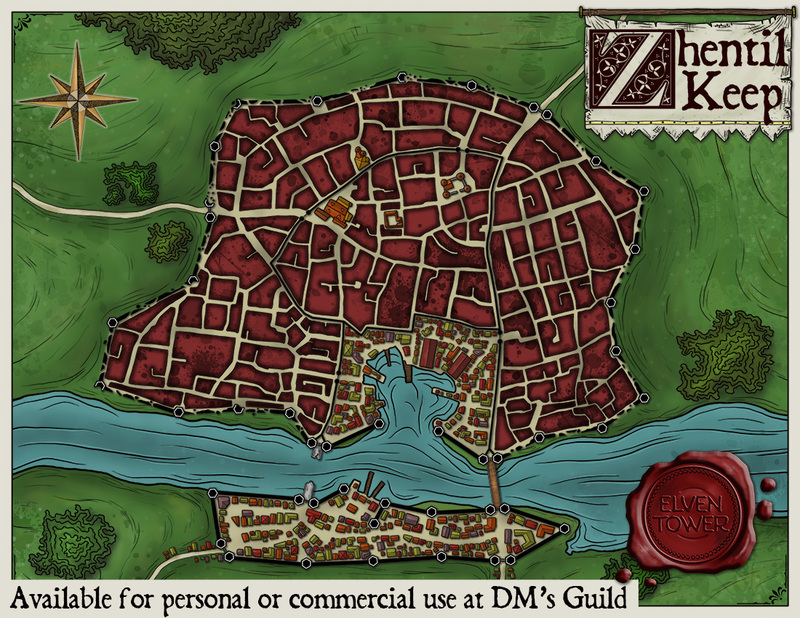 It is illustrated in the style of a local cartographer, excellent to be a prop given to players. It comes in 4 versions, In different configurations of color and labels.